Sleep” is used in several different ways as a metaphor to illustrate the Christian life and death. It sometimes refers to “the sleep” of death: “Behold, I tell you a mystery: We shall not all sleep, but we shall all be changed—in a moment, in the twinkling of an eye, at the last trumpet. For the trumpet will sound, and the dead will be raised incorruptible, and we shall be changed” (1 Corinthians 15:51-52). Jesus referred to “day” and “night” as symbols of life and death. “Day” stands for life while “night” stands for death. Jesus said, “As long as it is day, we must do the work of him who sent me. Night is coming, when no one can work” (John 9:4). It also is used in several instances as a wakeup call for Christian people to “wake up” out of their neglect, indifference and slothfulness. In his letter to the Roman Christians, after pointing out our dual responsibility to God and each other, Paul admonishes them to “wake up” to their duty of Christian living in the “light of the day” and not the “works of the night,” “And do this, understanding the present time. The hour has come for you to wake up from your slumber, because our salvation is nearer now than when we first believed” (Romans 13:11-14). 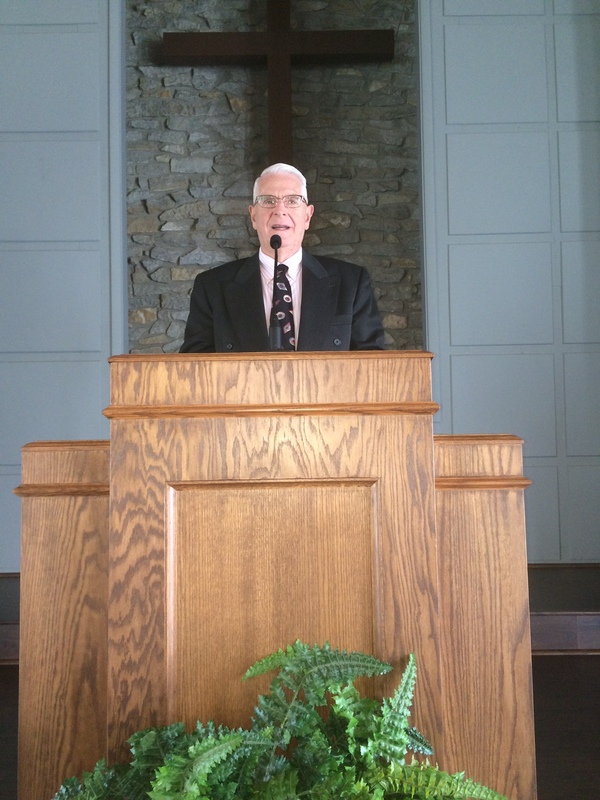 Some Christians need to “wake up” and get to Sunday school and worship on time. “But everything exposed by the light becomes visible, for it is light that makes everything visible. 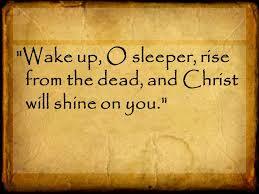 This is why it is said: “Wake up, O sleeper, rise from the dead, and Christ will shine on you” (Ephesians 5:13-14). When we observe the memorial of our Lord and Savior each Sunday, we need to be awake and be devoted to heavens ultimate sacrifice for us. If not, we will probably sleep, be weak and sickly in a spiritual way: “That is why many among you are weak and sick, and a number of you have fallen asleep” (1 Cor. 11:30). Finally, let us “wake up” and live the Christ life by putting away the sinful life, “Awake to righteousness, and do not sin; for some do not have the knowledge of God. I speak this to your shame” (1 Cor. 15:34, NKJV).